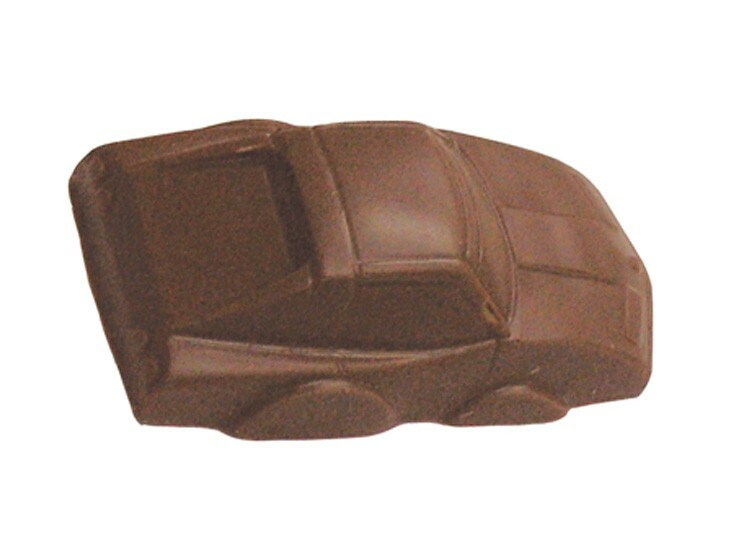 Custom molded solid chocolate candy race car #8 automobile vehicle, foil wrapped with imprinted label applied to foil. 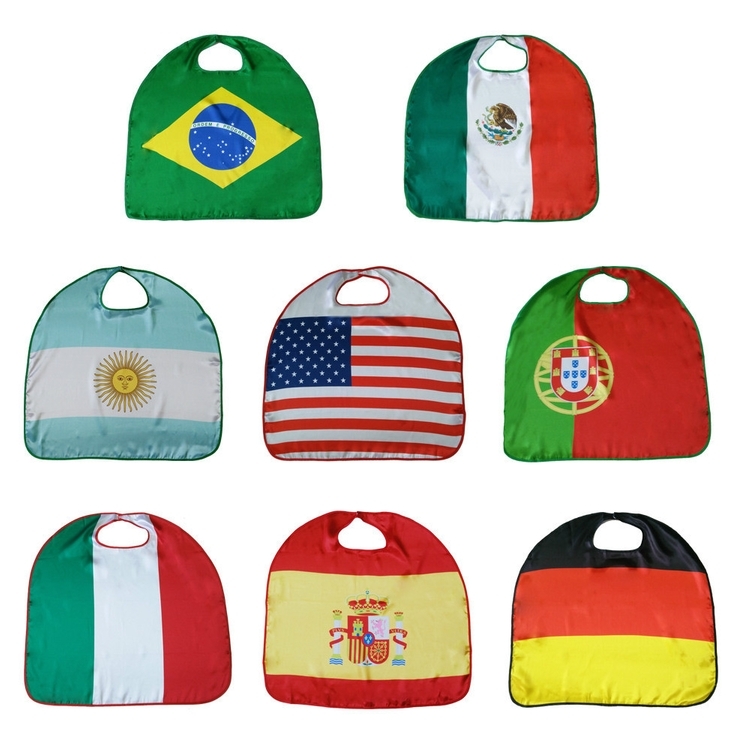 Product also available in cello bag tied with ribbon for an additional $0.86 (R). 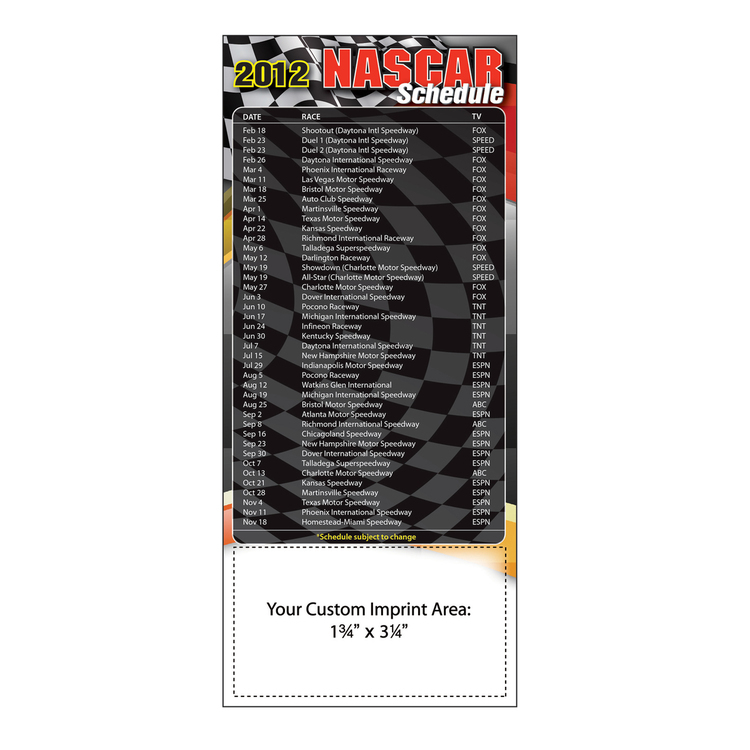 Makes a great food gift or NASCAR racing transportation promotional giveaway. 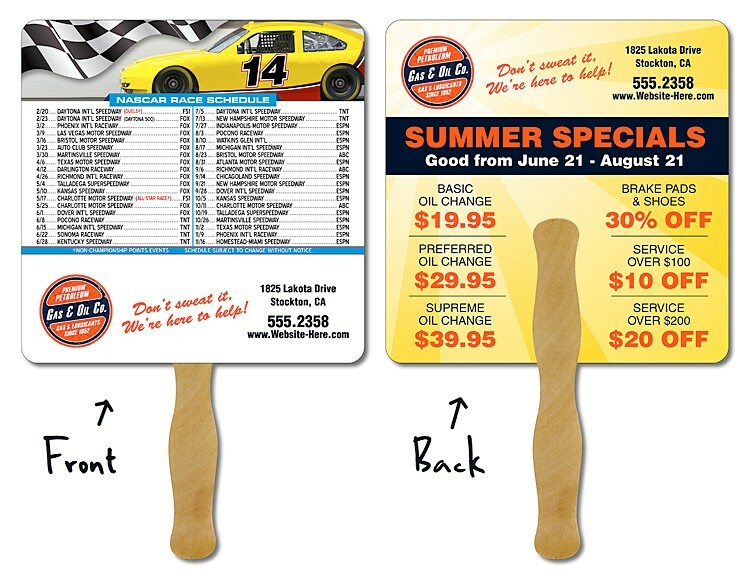 Great for schools at home or at the office. Essential for getting the days tasks done. 15 mil UV coated plastic Printed full colour on one or two sides 3-inch string tied to knot Four-colour process (4CP), glossy finish. Many other versions available which include "Do Not Disturb" Tags, Parking IDs, Visitor Tags, Warning Tags, Luggage Tags, ID Tags. 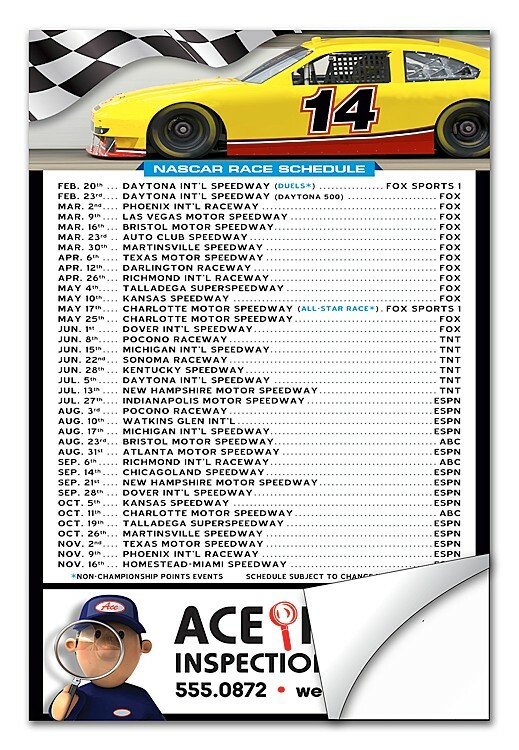 Keep up with your favorite sports teams with the new Pro Team Skeds! 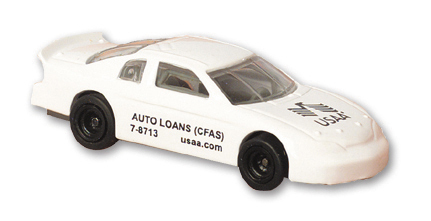 Constructed of a non-toxic USA made white flexible magnet, approximately 20 mil thick. 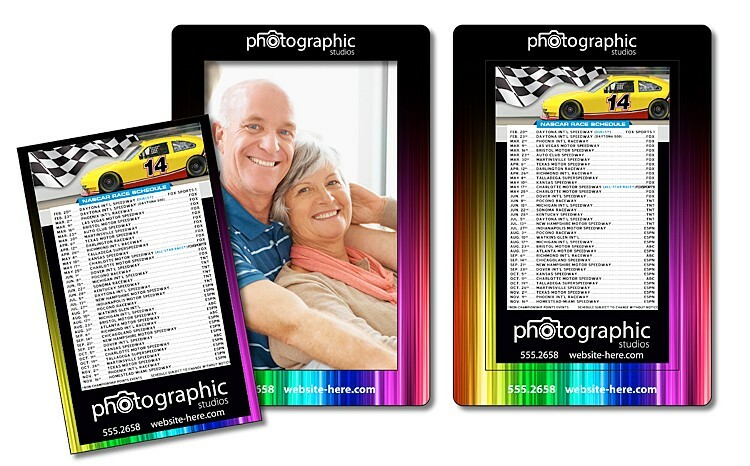 Copy Changes Available Color: White Construction: Non-toxic USA made white flexible magnet with clear, protective laminate. 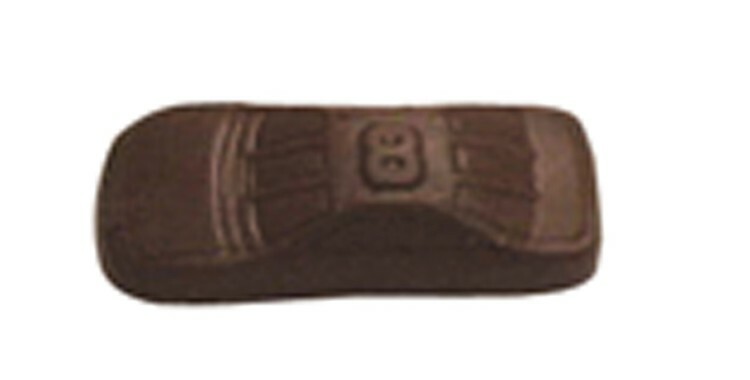 Custom molded solid chocolate candy race car automobile vehicle on a stick, wrapped in cello bag tied with ribbon with imprinted label applied to bag. 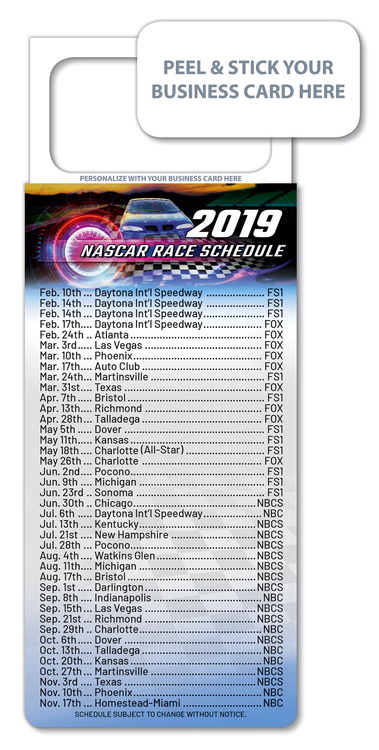 Makes a great food gift or NASCAR racing transportation promotional giveaway. 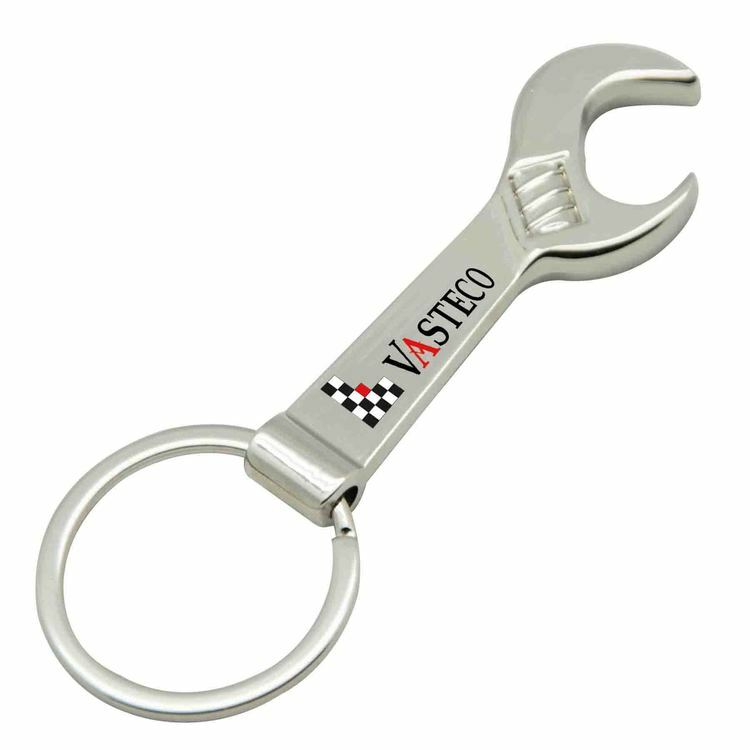 Our Wrench bottle opener is the perfect gift for the mechanic who enjoys drinking beverages! The bottle opener is made from premium metal with durable split-ring attachment making it easy to carry on your keychain. 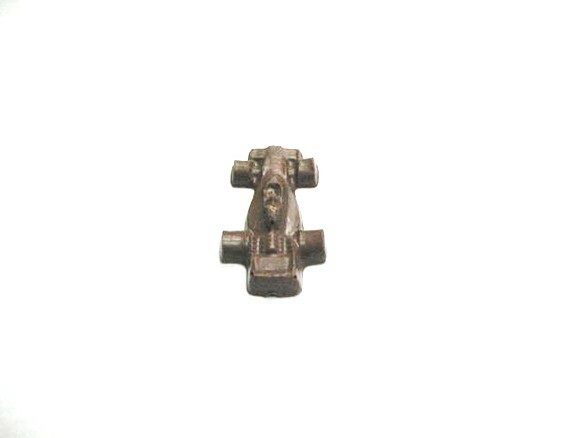 This bottle opener can be screen printed or optional laser engraving. 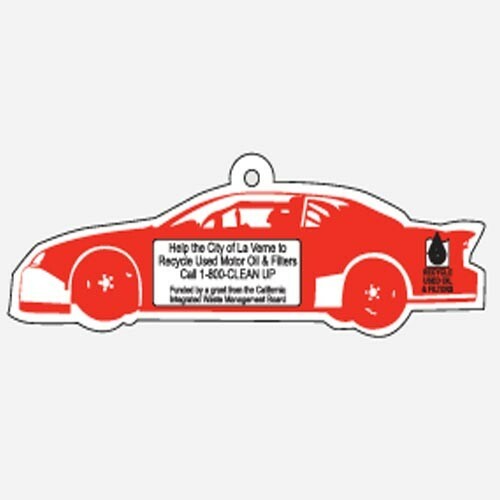 Our bottle openers are ideal product used by automotive dealers, mechanics, Nascar events, restaurants, breweries, liquor stores, gift shops, hotels, travel industry, weddings, business events and BBQ's. These Stripes Are In When You Go Out. 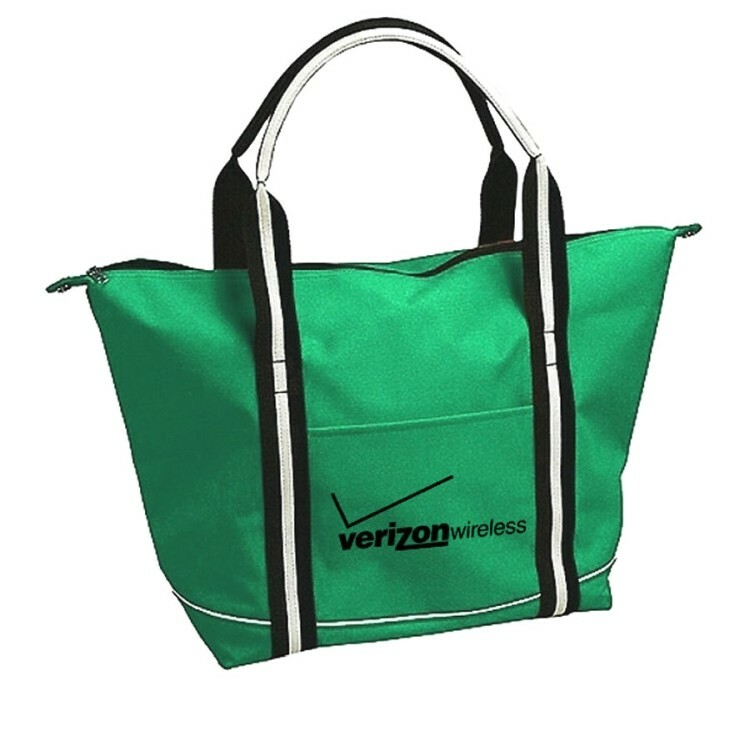 Tote bag made of 600 denier polyester with hard bottom. Features front pocket, zipper closure. Made of 600D polyester. This colorful tote has a zippered top, structured bottom, padded handles, and two-toned contrast striping to give it racy look. 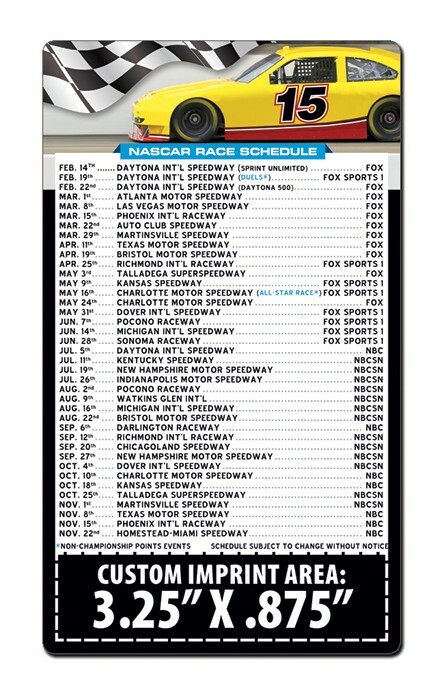 Offered in 7 exciting colors to make it at home at Nordy's or NASCAR. 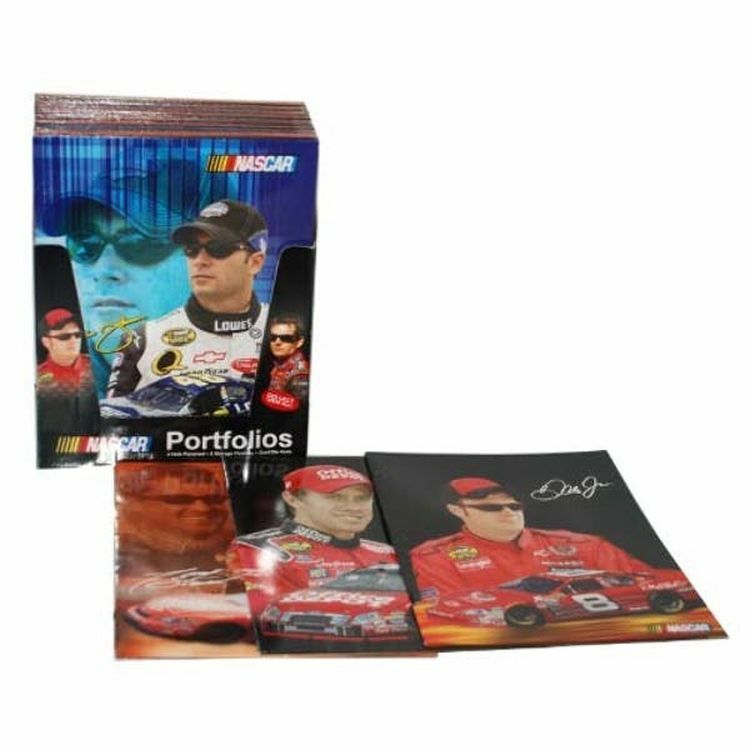 Custom molded solid chocolate candy race car automobile vehicle, wrapped in cello bag tied with ribbon with imprinted label applied to bag. 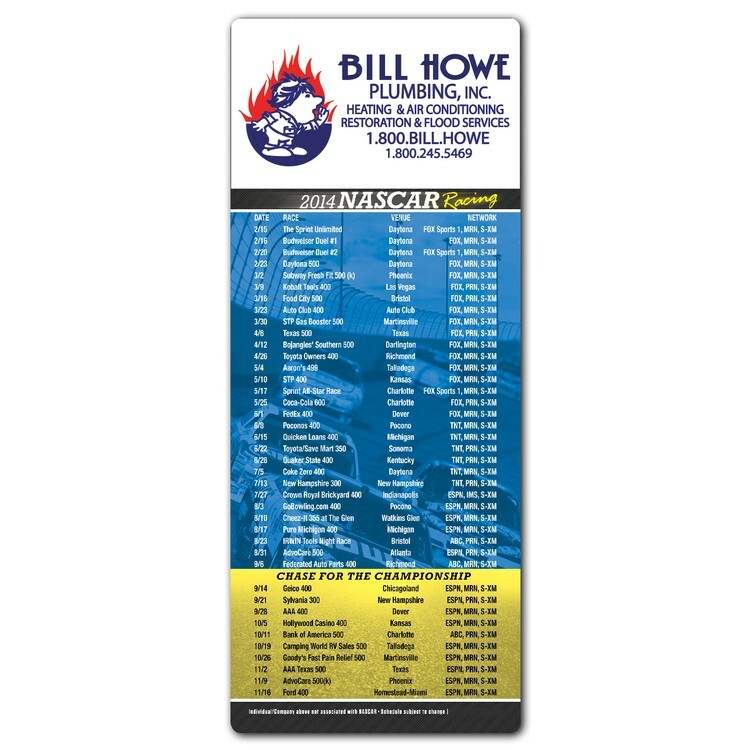 Makes a great food gift or NASCAR racing transportation promotional giveaway. 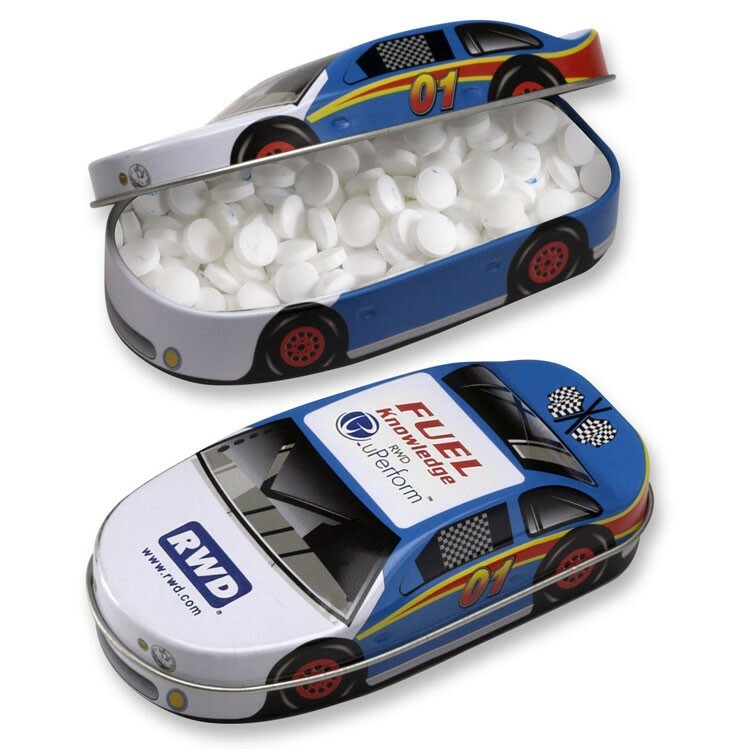 Custom molded solid chocolate candy mini racer race car automobile vehicle, foil wrapped with imprinted label applied to foil. 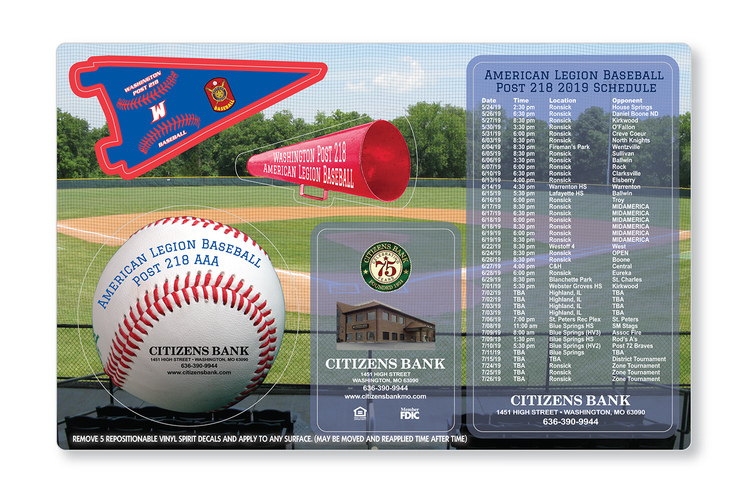 Product also available in cello bag tied with ribbon for an additional $0.86 (R). 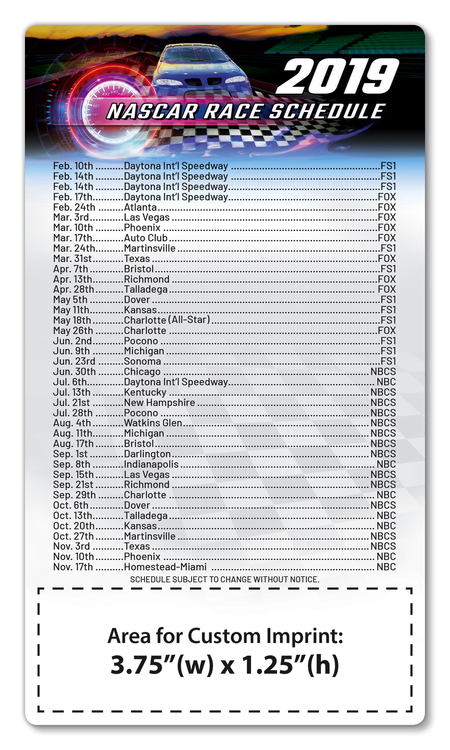 Makes a great food gift or NASCAR transportation promotional giveaway. The cloak is made of Satin Fabric, Great for celebrating Gym Competition, this is the perfect outfit to wear on any fun event like parties, concerts, NASCAR events, Music festivals, Halloween or School Spirit Days!Logo printing is available with all colors ,the price includes the one color one side one location printing . 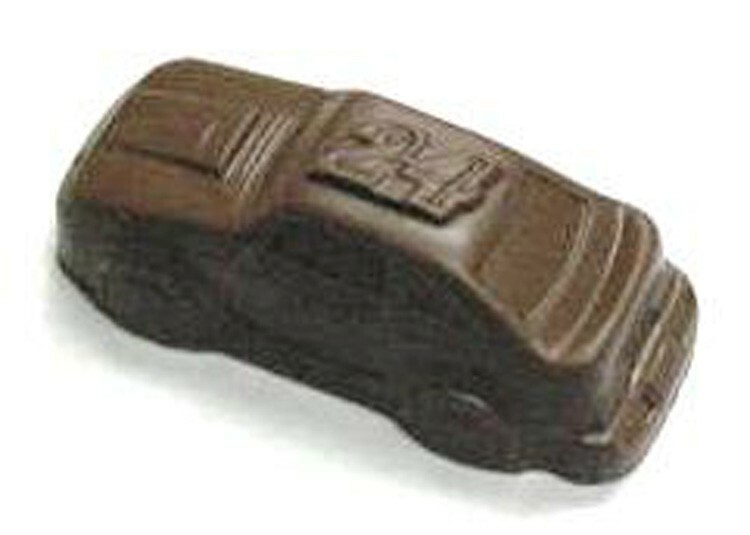 Custom molded solid chocolate candy race car #24 automobile vehicle, foil wrapped with imprinted label applied to foil. Product also available in cello bag tied with ribbon for an additional $0.86 (R). 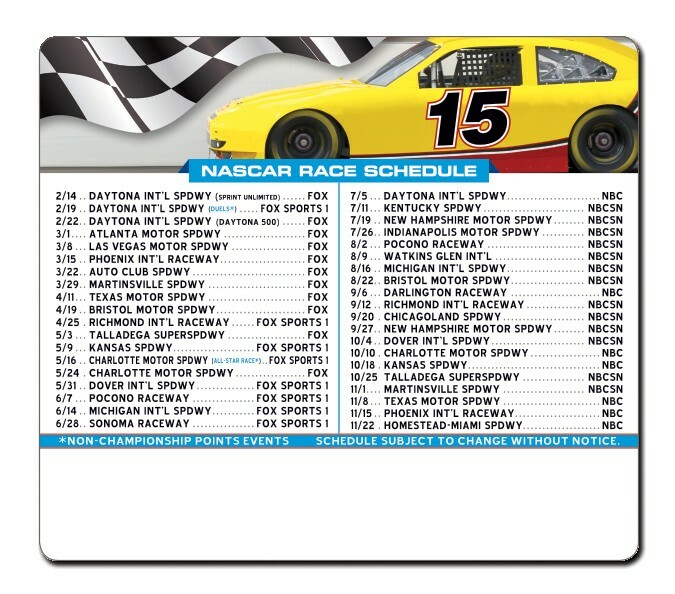 Makes a great food gift or NASCAR racing transportation promotional giveaway.